Pistorius Murder Trial Postponed Until August : The Two-Way Prosecutors asked for more time to prepare the case against the Olympic star, accused in the shooting death of his girlfriend. South African Paralympic sprinter Oscar Pistorius stands in the Magistrate Court in Pretoria on Tuesday. After a brief 15-minute hearing today in a courthouse in Pretoria, South Africa, a magistrate agreed to postpone the murder trial of Oscar Pistorius until August. Pistorius, if you remember, is the so-called blade runner who made history during the London Olympics. He became the first double-amputee to compete in the Games. Pistorius is suspected in the shooting death of Reeva Steenkamp, his model girlfriend who was found dead inside the bathroom of Pistorius' home. "The prosecution asked for the trial to be postponed to Aug. 19 to give police more time to complete the investigation. The defense said it agreed to the postponement. "The date Aug. 19 would have been Ms. Steenkamp's 30th birthday. "The state in February said it planned to charge Mr. Pistorius with the murder of the 29-year-old model and law school graduate in what it alleged was an argument. "Mr. Pistorius's lawyers have said the athlete fired four shots through a locked bathroom door in self-defense, believing an intruder was inside. Mr. Pistorius denies that he committed murder." The New York Times reports this was the first time Pistorius made a court appearance since a bail hearing in February. The paper says Channel 5 in Britain spoke to June Steenkamp, Reeva's mother. "Referring to her daughter's death, she said 'there is only one person who knows what happened' — an apparent allusion to Mr. Pistorius. "'Why? Why did he shoot her? I want to know why he shot her,' June Steenkamp said. 'Because she must have been so afraid in the toilet, and somebody's firing a gun, bullets through the door.' "
ABC News reportsthat the magistrate in the case warned the media against any "scandalous" reporting. It adds that Pistorius only spoke once during the hearing. 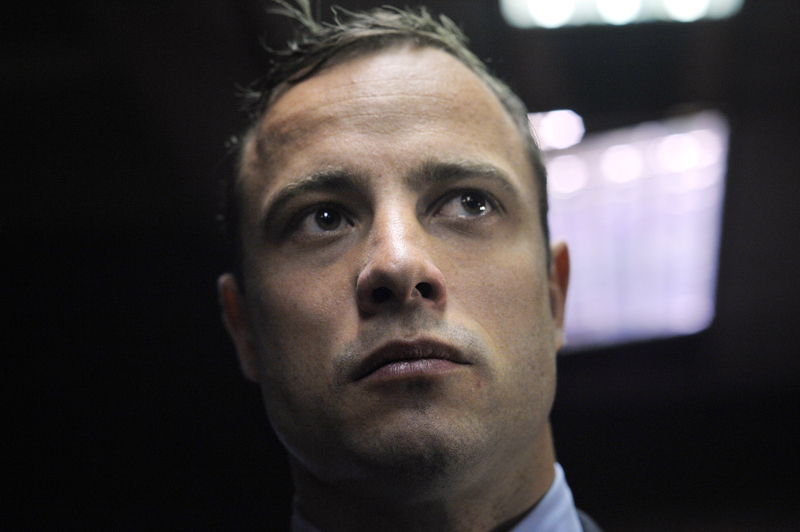 Pistorius said, "Yes, your honor," when he was asked if he understood the terms of his release.